It doesn’t seem that long ago that the idea of robots taking over the world was merely the plot of a movie. Now, chatbot marketing is a common expression in global business, and the benefits of chatbots are rapidly enticing more companies to begin experimenting with the capabilities of artificial intelligence (AI). Your marketing, sales, and customer service operations can all benefit from AI-powered chatbots. In this article, we’ll pull back the curtain to reveal just how good it gets with chatbots in business. Furthermore, we’ll show you how to get started with chatbots today. A chatbot is a computer program that is designed to simulate conversations with human users, typically on the Internet. Chatbots act as automated virtual assistants, capable of communicating with people through text messages on instant messaging platforms, forums, and onsite live chat apps. While they have their limitations, AI-powered chatbots are getting “smarter” over time. By using natural language processing (NLP) and advanced machine learning algorithms to learn from data insights, chatbots are becoming increasingly sophisticated. Soon, it may be hard to distinguish whether you are communicating with a human or a computer. Forbes reports that chatbots are killing customer service as we know it. While there may be some credence to the claims that the rise of the robots inevitably spells disaster for some human jobs, the revolution is ultimately a good thing from a business perspective. 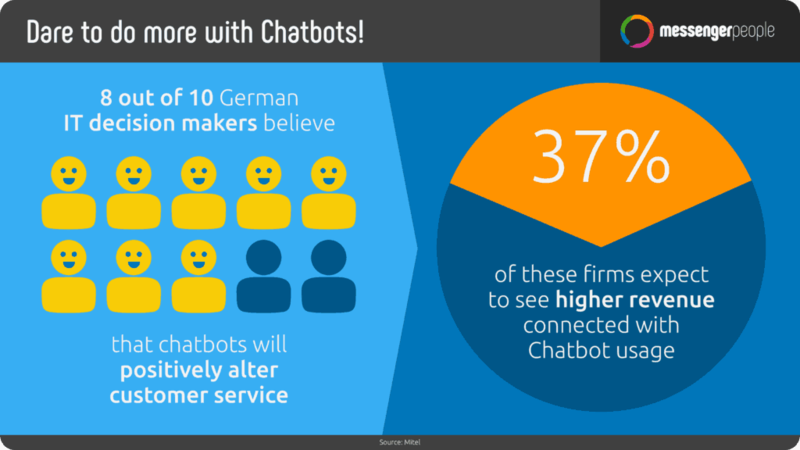 More importantly, the benefits of chatbots bring good news for consumers. In a customer-centric world, anything that helps you improve the user experience and foster greater brand trust and loyalty is a good thing. 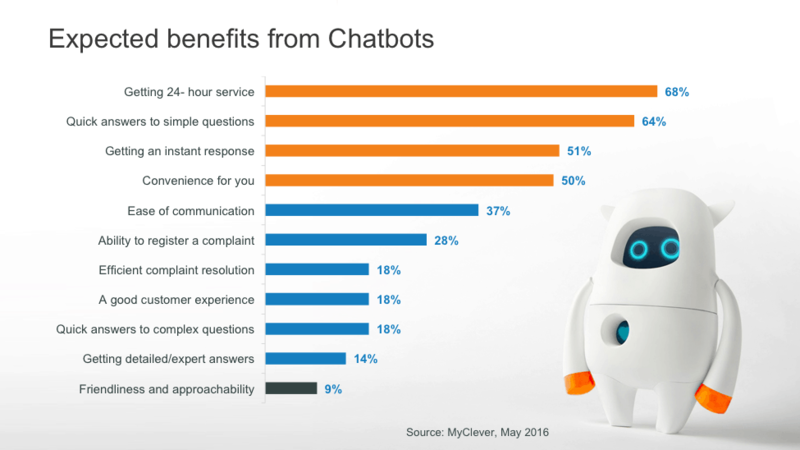 So, let’s look at the main benefits of chatbots for your business. Nobody likes to wait around for a solution. When a customer has an issue with your products or services, they’ll quickly lose patience if your brand can’t rectify the problem in a timely manner. Reports that humans have an attention span akin to a goldfish are widespread, and while it may not be totally conclusive, the fact remains the way in which people interact with brands is changing. 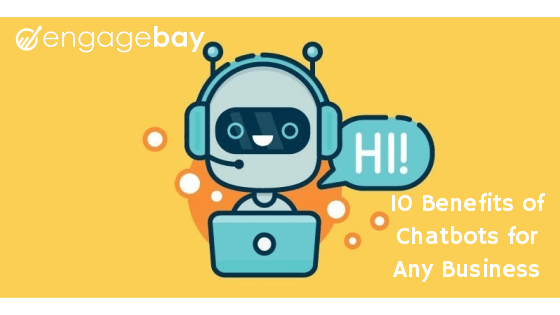 If you have a chatbot integrated into your customer support system, people can engage it easily without any learning curve or prior training. Through NLP, chatbots can analyze questions and respond with the most suitable answers. As many companies now use chatbots in smartphone apps and on their website, customers don’t have to waste time trying to get in touch. Live chat functions seamlessly on all devices, and on popular messaging apps like WhatsApp or Facebook Messenger. Unlike your support team, chatbots don’t need any sleep. When a customer needs assistance, your company can be there, even outside of normal business hours. This facilitates greater customer satisfaction as people know they can get help without waiting around for a reply to an email or voicemail. Chatbots will save a combined total of $11 billion for banking, retail, and healthcare business sectors by 2023. This is almost double the $6 billion savings from 2018. By 2023, the companies and consumers in these three industries will save a combined total of over 2.5 billion hours. In the same time, e-commerce is expected to grow to more than $112 billion because of chatbots. You’re probably wondering how chatbots will save so much time and money. The massive savings comes from slashing the time your staff normally spend dealing with customer queries. By phasing out customer support staff to bring in chatbots, you can dramatically cut interaction times on all channels, including phone calls, social media, and messaging apps. So, chatbots will take human jobs? Chatbots will take over a lot of tedious, repetitive tasks that are currently performed by people. While that may seem like bad news for people in those positions, it can be a good thing. These jobs can be dull and draining for people, but a chatbot will never complain, not even when a customer gets frustrated or belligerent. David Cancel is the CEO of the leading chatbot development company, Drift. He asserts that people should not look to view chatbots as a human simulator, but instead see them as a better way of satisfying customer needs. One of the best benefits of chatbots is the ability to make the customer journey smoother. Anyone in e-commerce will know the pain of losing prospects halfway through a marketing funnel. It doesn’t take much to deter people from completing a purchase online, whether it’s a confusing check-out system or hidden costs. Offer additional information on products or shipping. Give customers more insights from related video content. Measures like these can help reduce cart abandonment rates, which are a problem for practically every online store. 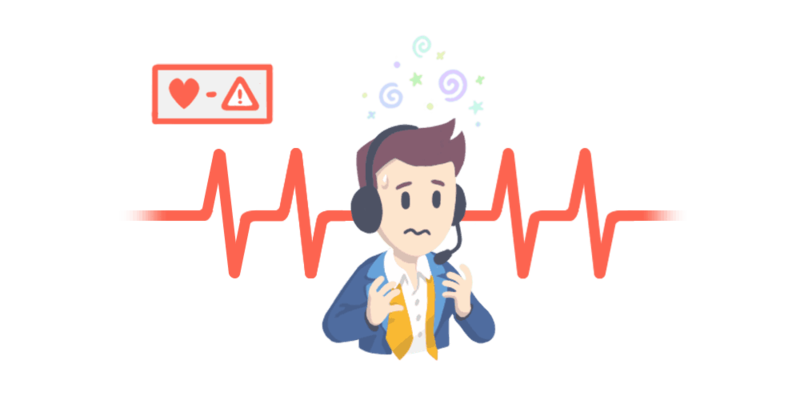 Research by Helpshift revealed that most consumers “dread” contacting the customer support team of a company. For some people, these phone calls are inconvenient, while others find them frustrating, time-consuming or socially challenging. 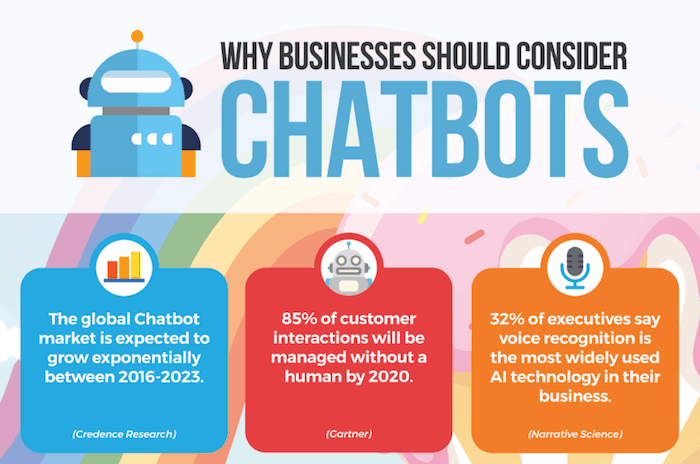 The same survey also discovered that 79% of people prefer live chat over other channels, and 55% would choose to use chatbots if it was available. This is widely considered to be a quicker, more efficient, tailored road to resolution. It’s a frustrating experience almost all of us have encountered at some time. Thankfully, these structured systems are on the brink of extinction. Because of chatbots, of course! Thanks to machine learning, chatbots have much greater flexibility and capability, allowing customers to feel their voice is actually being understood. This makes for much more effective problem-solving. That flexibility has another advantage – it makes it possible for chatbots to engage customers on a whole host of different levels. This means businesses can use chatbots to help people with technical support, sales information or account management. You can program chatbots to have a “personality” that suits its role, such as an affable tech helper or quirky sales associate. Domino’s Pizza gave their customer service chatbot, “Dom”, a friendly personality that interacts with customers, making the order process easy and enjoyable. This personification of chatbots is a great way of building relationships with people, as it helps display your brand voice, and also dispels people’s concerns about interacting with chatbots. Chatbots can help you here as they make it easier to broadcast your brand message. By eliminating dreary tasks and excess cold call issues, you can use chatbots to streamline customer communications and build greater brand trust. Throughout all of this, you are collecting valuable data on consumer behaviors, interests, and purchasing habits. By using chatbots for marketing, it’s easier to promote new products and services, as they can help you target the right people, with the right offer, at the right time. Okay, now that you can see the undeniable benefits of chatbots, it’s time to take the next step. Let’s show you how to use chatbots for your own business. Chatbot marketing isn’t as alien as you may think. As with other sales and marketing tactics, goal-setting is an important step at the beginning. What do you want to achieve? Speak to your team and define clear goals before proceeding. You could use chatbots only on your website, or also in social media pages and instant messaging apps. The important thing to realize is that chatbots conversations vary from one platform to the next. For instance, website visitors may know more about your products than someone who visits your social media for the first time. Your chatbots must be programmed to suit the needs of different visitors. Facebook users may ask different questions than those on Twitter. Ultimately, you must understand your audience personas before moving forward. How will your customers engage with your chatbots? Start out by building up an FAQ section. This will help you devise a flow system that guides users to the quick answers they need. 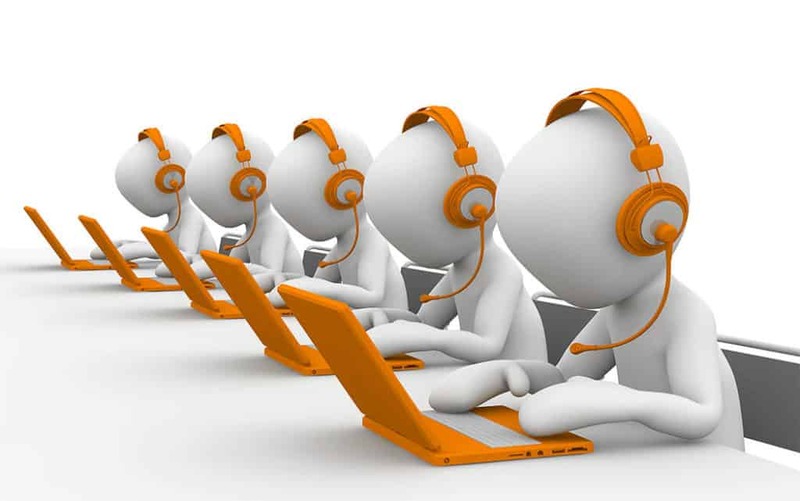 Customer Service – The main point of contact for customers. Ask them about common issues they normally deal with when people get in touch. Sales – Get insights about conversations with prospects. What is stopping people from completing the customer journey? Marketing – Think about your social channels and brand voice on here. What queries does your social media marketing team handle? Once again, remember your goals here to guide your content. Think about how the content will support your goal and help customers at the same time. Now it gets interesting. It’s vital that your chatbot has a likable personality that customers will enjoy working with. Give it a friendly voice and a memorable name, and ultimately, encourage your copywriting team to let their creative juices flow. Remember that many people are still unsure about chatbots, both as business owners and customers. Therefore, it’s crucial that your chatbot makes a great first impression. Compelling – It may be an automated robot, but it doesn’t have to be stiff and boring. Let that personality shine through by having some fun with the brand voice. Your aim is to make people want to engage in conversation with your bot. Set Expectations – Don’t try to trick people into believing this is a human. Let customers know it’s a bot early on, so there’s no confusion about the limits of the conversation. Also, make a point of letting people know they can also contact a real human if needed. Ask Questions – Questions fuel conversation, and they help your bot get valuable information. The more information it gets, the more effective it can be for customer service and marketing. Once you get this far, your chatbot is ready to go. By using tools like Google Drawings, you can map out the customer journey and develop detailed conversion trees based on the responses you get. Over time, as you collect and analyze more data, your chatbot will be able to engage in deeper, more complex conversations. The more it interacts with people, the more it will be able to help them. The potential for AI-powered chatbots is almost limitless, which makes them an incredible addition to any business, be it in marketing, sales or customer service. When you put the effort into personifying your bot, you can give it a voice and sense of humor that your customers will appreciate. You can even experiment with visual content too, responding with humorous GIF or memes. 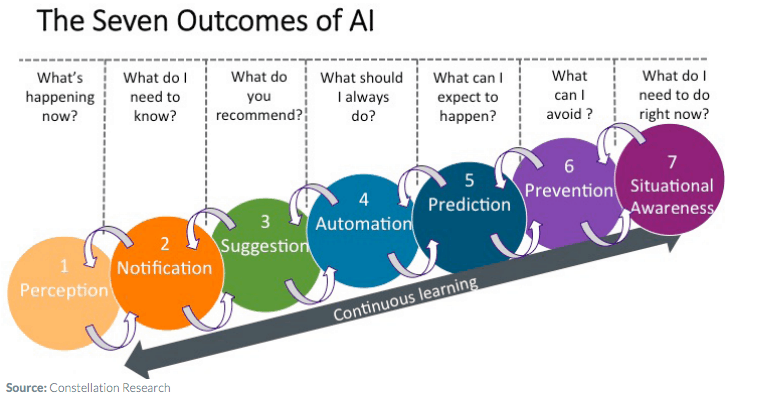 Companies who push the boundaries with AI will reap the rewards. So long as you continue to monitor and tweak your system, you are sure to experience the many great benefits of chatbots. This technology can offer incredible advantages for companies and customers alike. Despite concerns over a loss of the personal touch, in the end, chatbots can actually humanize your brand and help you build stronger relationships with your customers. Note: EngageBay will be rolling out its live chat functionality shortly, so stay tuned.